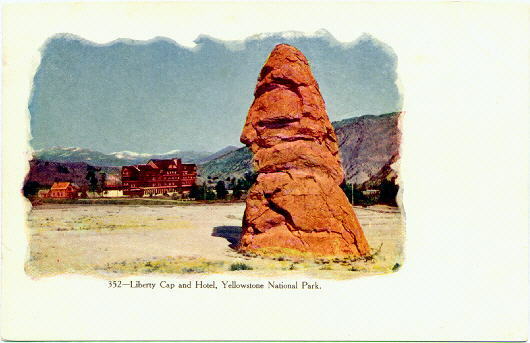 This early postcard shows Liberty Cap, a now-inactive geyser cone, and the National Hotel at Yellowstone's Mammoth Hot Springs. 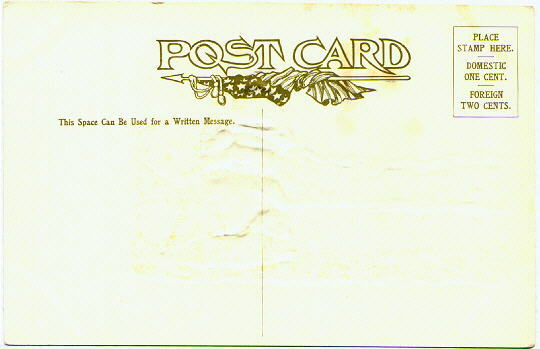 The large hotel was not structurally stable and was eventually torn down. The present Mammoth Hot Springs Hotel is located on the approximate site of the former hotel.